Every person in this world is constantly searching for ways to improve their standards of living. The quest for a better quality of life never ends. 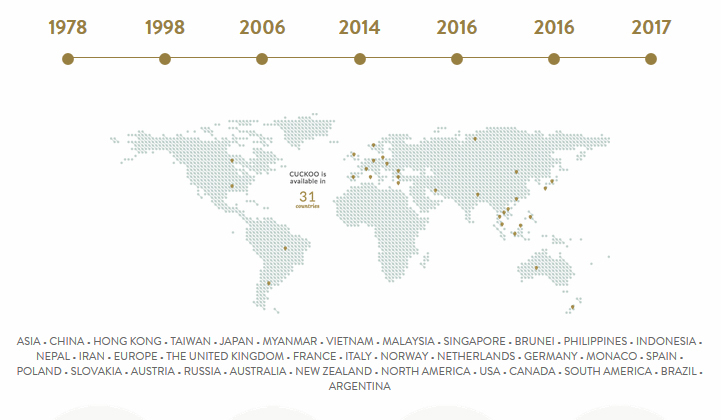 At CUCKOO, we have made it our mission to push the boundaries of our capabilities, so that we are able to not only further improve lives by meeting the standards that million of families around the world would expect of a global home appliance brand, but to also go far beyond these standards in all that we do, every day. As we constantly strive towards the ‘Beyond Standards’ philosophy, every award and recognition received has motivated CUCKOO to move forward in the industry. We are honoured and very delighted to be receiving acknowledgement from esteemed professionals in awarding bodies as well as the public. CUCKOO is truly inspired in our vision to become the NO. 1 healthy home appliance brand in Asia.